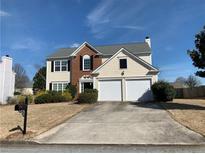 Below you can view all the homes for sale in the Wellington subdivision located in Alpharetta Georgia. 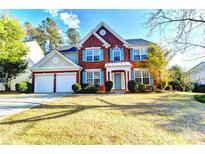 Listings in Wellington are updated daily from data we receive from the Atlanta multiple listing service. To learn more about any of these homes or to receive custom notifications when a new property is listed for sale in Wellington, give us a call at 404-998-4017. If You Are Looking For The Top Schools In Johns Creek And In Walking Distance That'S The Perfect Swim/Tennis Community, Welcome Home To The Park At Wellington. No Rental Restriction. MLS#6532156. Keller Williams North Atlanta. Home Is Beautiful And Neighborhood Is Quiet. Great Schools And Location. MLS#6529522. The Millionaire Realtors Group, Llc.. Excellent North Fulton Schools. Close To Hospital, Shopping/Dining. MLS#6529672. Prosources Realty, Llc..
Hvac, Roof And Water Heater 3 Years New. MLS#6525251. Keller Williams North Atlanta. Award Winning Schools And Close Proximity To Shopping, Restaurants And Hwy. MLS#6513394. Keller Williams Rlty, First Atlanta. Walk To Elementary School. Close To Gourmet Dining & Shopping! MLS#6505699. Right Path Realty. Close To Emory Hospital And Shopping. MLS#6103740. Keller Williams North Atlanta.